Photography © Various: See captions. 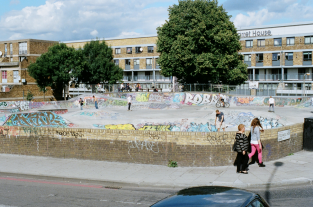 New photo book, featuring all the London greats, is a blow-by-blow account of skateboarding in an ever-changing city. 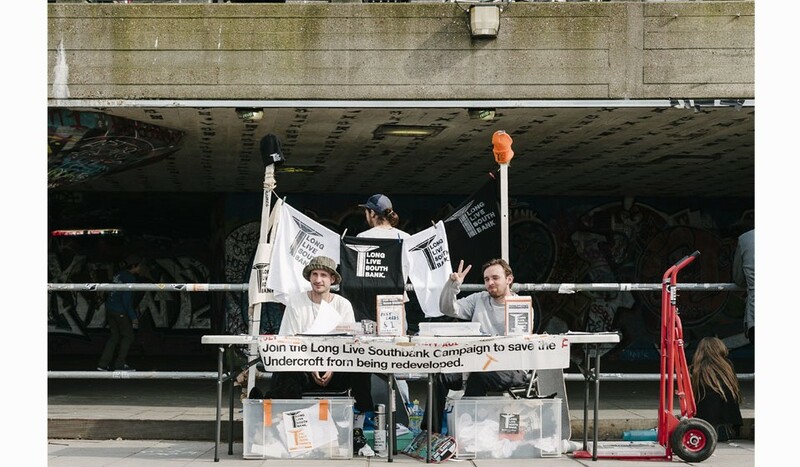 The latest in the ‘Of’ series (following on from the fancy De Paris made by Thomas Busuttil last year), Of London is a new photo book exploring a year of skateboarding in the city. Featuring a heroic mix of local photographers – including Henry Kingsford (Grey), James Edson (Wayward) and Sam Ashley (legend) – the book has been curated chronologically, by former Kingpin editor Alex Irvine, to paint a picture of a local scene that is constantly evolving. The resulting book, a slick thing with beautifully minimalist design, combines hard action with softer in-between moments for a more rounded exploration of the culture and the people who make it what it is. The book is launching at our gallery 71a next Saturday April 18. We caught up with Thomas and Alex to find out more about the project. Can you tell us a bit about the origins of De Paris and how Of London evolved out of that? 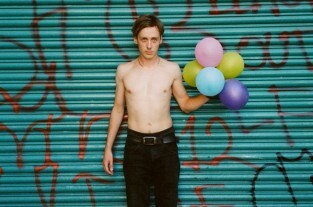 Thomas: Having worked for magazines before, I found myself wanting to continue working in the media and had the desire to document it from my perspective: as a skateboarder – the way I see things, without the urgency and frequency of the deadlines and without the advertising problems and pressure to create pro-advertiser content. Ultimately, you don’t have enough space in a magazine to be able to tell the story as you see it and to do something complete, from A to Z; a real document, which will also have longevity. Alex: Of London came about after Thomas and I had a meeting where we talked about the potential for a project like this to work in other major cities of Europe. The project really excited me as it was an opportunity to tell a different story than you can with a magazine. Having recently left Kingpin magazine at the time it gave me a chance to do something entirely different but in print. Choosing London seemed like the natural next step as the scene is really strong and productive and there are loads of native photographers too. The chronological layout is quite unique. Gives a sense of time and progression. What was the thought process behind that? Thomas: The timeline gave us a border to work to, kind of in the same way the space we explored did. One year, one city. It allows us to focus and understand further what is really happening. Our reality is on a similar level to all the other people in the city, living through the same spots, using the same underground, sidewalk – but using it differently. Through the chronological layout, we are able to see difference between years and cities, and how people and places are changing also. Alex: The chronological layout I saw in De Paris really appealed to me and it was something I was sure I wanted to continue using with Of London. I really like how time gives purpose to an image selected. A shot of someone in the background of an event, a moment that tells little on its own, for example, can transform into an image that conveys a feeling of an entire day when viewed in the context of a timeline. Somehow the incidental image becomes almost more important when put in this context. How did you select the photos to run? 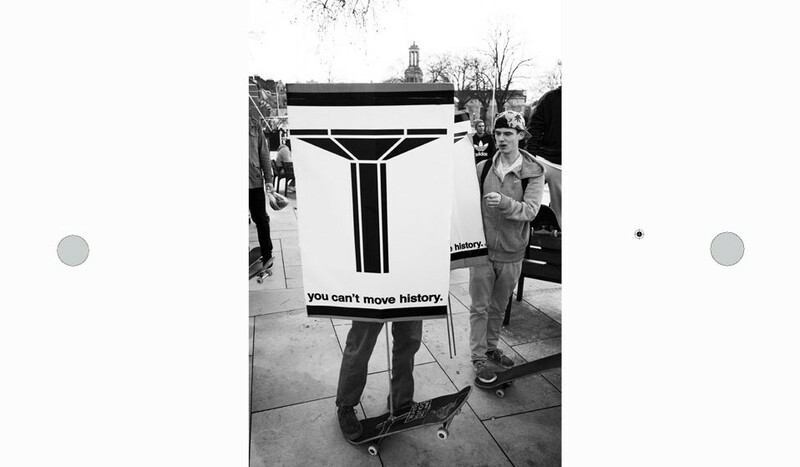 Were you trying to show specific things about London skateboarding? What? Alex: The images that we ended up with in Of London are a massively distilled version of events and in the end show only a fraction of the submissions we received. The most difficult bit was removing enough images to ensure we retained a good impact with individual shots whilst maintaining a narrative. I actively wanted to make sure we showed a broad range of versions of events, using a mix of amateur photographers and established pros. The benefit of the format is that we can include the lesser known, the more obscure and the incidental, alongside perfectly lit action shots. It’s a more relaxed approach to documenting the scene, one that extends beyond the core skate scene and also allows us to show the scene in a more complete, comprehensive way. The scene expands far beyond the parameters often explored in conventional skate media. Being able to work outside the tightly-defined what-trick/which-rider/photo-perfection rules you’d normally self-impose as an editor of a skate mag was definitely an interesting part of the project. Alex: I think the homogeneity Jacob talks of in his piece definitely exists in skateboarding and its culture, but it’s only one part of it. I think the conformity is completely avoidable it that’s not quite your cup of tea. Skateboarding generally has a way of finding its feet as soon as there’s an imbalance. Skateboarding is constantly self-regulating in smaller, less obvious ways – it becomes homegrown and endemic in the face of well-funded and global; lo-fi and independent when it all gets super-finished and glossy. Humorous when it all gets too serious. It’s good (but unfortunately unusual) to see a few girls included. Is that something you consciously thought about? 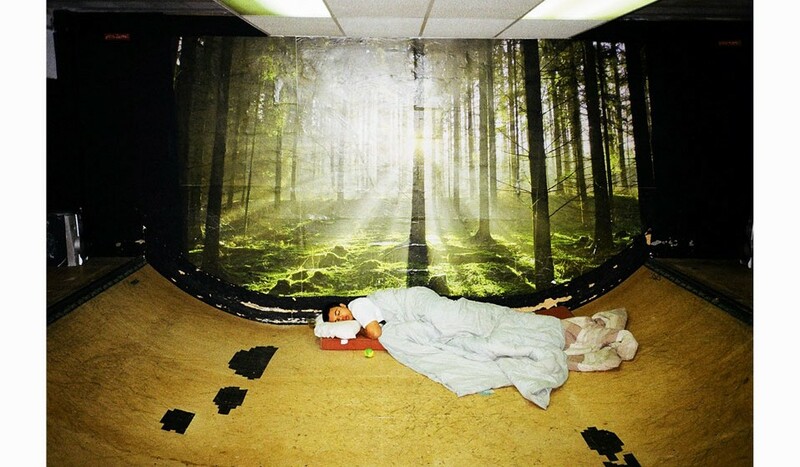 Alex: To be honest I would have liked to have had some skate shots of girls in the book. The scene of female skaters is pretty big in London, certainly more commonplace than anywhere else I’ve lived. They are a pretty tight crew and it would be nice to have represented that more from an insider’s perspective, but honestly I don’t think it’s commonplace for photographers to document their street missions and the like – which makes for the more interesting shots. I didn’t set out to represent the girls anymore than I set out to represent any other specific group, it was more: what happened, who was there, who captured it best – regardless of genitalia, race or disability – if it made me chuckle, so much the better. Alex: Involving anybody who is working hard to do something their own way was always going to be interesting, but you still have to have a filter as to what looks good, what appeals to your sense of humour, and to be sure that it’s something you can believe in or at least respect. There are definitely people I would have liked to included that we missed. Unfortunately you can’t be everything to everyone. I think independent publishing, if you can truly be called that when you’re still reliant on a big sponsor for funding, is exciting because you can more easily do something different. With the kind of standard big-format regular national magazines you’re almost tied to the interview, tour or project format and ultimately, as recent termination of Factory Media’s titles show, kind of unable to downscale or change in a reactive enough way to be flexible to the changing climate. I like the instagram-tiled endpaper. Why did you want to include? Alex: The instagram film rebate-a-like thing was meant to be a mix of stuff from the viewpoint of the skaters and partners we involved in the book. It’s a good chance to show the weird kind of stuff that occurs when decent cameras aren’t around to capture it. I wish I had more time to trawl peoples instagrams to get the best of the best, but it’s time-consuming stuff! Do you plan to do more? Where? Alex: Certainly with regards to further yearbooks of De Paris and Of London, each publication will form part of a growing series. There would be some great cities to expand the project into too and I think it’s an interesting project for anyone entrenched in a scene to get their teeth into. You can RSVP for the Of London launch party, Saturday April 18 5.30pm-9.30pm, via Eventbrite. 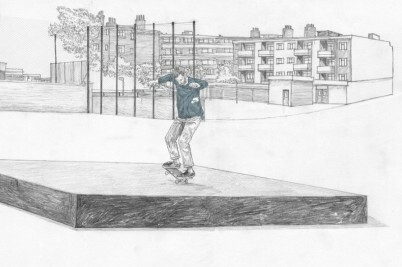 Keith Watts’ series of London illustrations capture the fluid motion of skateboarding through the city.